Just a suggestion Merv. If you copy the screen pic you can post it like this. Had a result Davis actually finished a race and got a point Woohoo. Another bad start to the season. 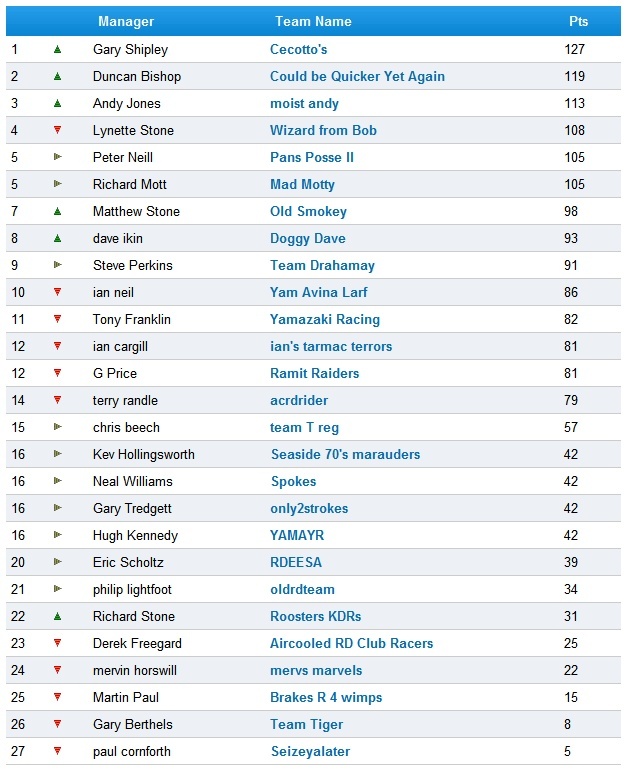 I can only presume the top 3 went down in the main overall MCN league..